PsychedelicPartySkaDoomaliciousPunkFunkAnthems From Hell! HUZAAH! Melbourne's The Bennies finally present their genre-mashing second album Rainbows In Space on the 8th November. Fire up your lighters and refrigerate your beverages 'cos they'll also be spreading the party vibe all over the country on a national tour. Like some kind of lethal speedball, Rainbows In Space combines all the high energy, reggae-tinged punk rock party anthems your tiny heart can endure. There's chill Californian ska rhythms, brain-melting solos, bouncing bass lines, speedy hi-hats and some of the most addictive choruses ever to seize upon your brain, plus Anty Horgan's signature, delay drenched vocals. Jammed out in Melbourne with pal and producer Sam Johnson (The Smith Street Band, A Death In The Family), Rainbows In Space picks right up where the ripping sounds of first album Party, Party, Party and recent 7" Better Off Dread left off. The Bennies' touring party program for 2013 has included a bush-doof psy-trance festival, a metal festival, a million punk shows and one epic 20-date national tour with buds The Smith Street Band. Before they descend upon Japan and China on their 3rd Asian tour in as many years, The Bennies will gallivant across Oz in support of Rainbows In Space through November and October. Having shared stages with everybody from Guttermouth to The Aggrolites, Smoke or Fire to Yacht Club DJ's; it's pretty clear The Bennies are in it for the good times and great mates, and there ain't too many crowds they'd have trouble winning over. The most important thing to ask yourself when letting The Bennies run riot around your brain with their 'Rainbows In Space' is this; "How You Feeeeeeeelin'?" 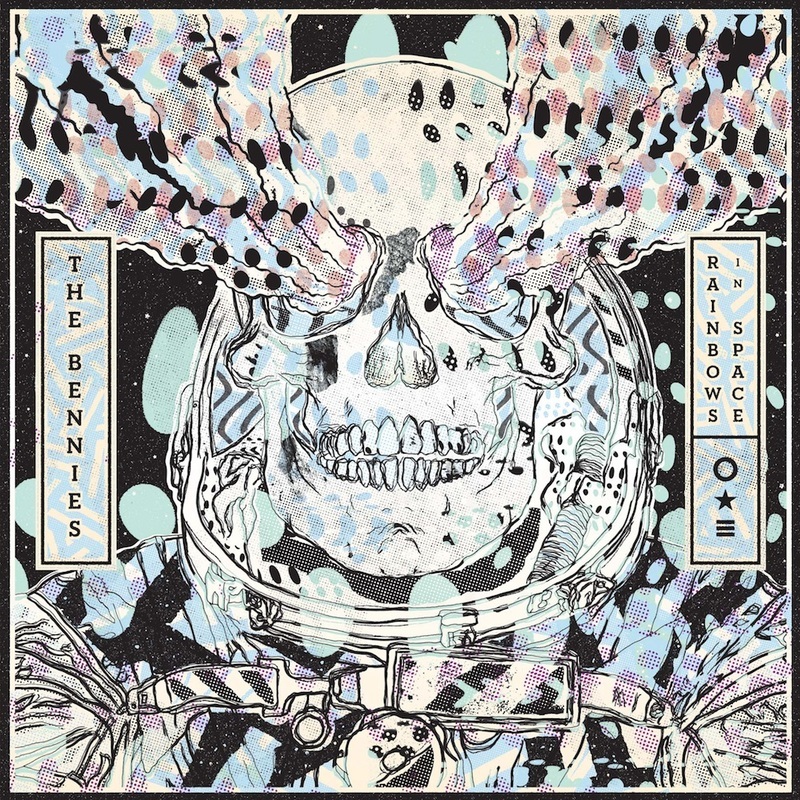 The Bennies want to make you feel good. Suss out what all the fuss is about by streaming new track Anywhere You Wanna Go.